Thanks. It has been correct. 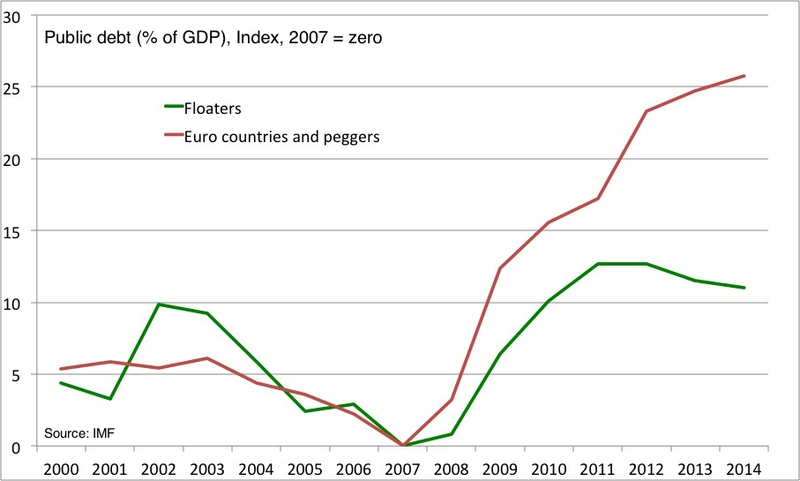 They(ECB and Germany) don’t understand how debt/gdp works and factors affecting it. 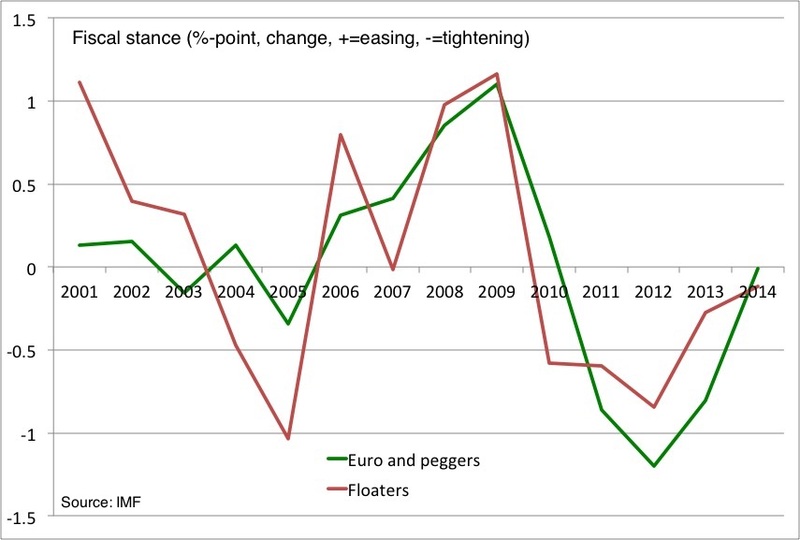 Can you point Portugal on the last graph (the plot of gross pub debt vs ngdp change)? Im curious to see where do my country stands on the regression line. Portugal and Spain are more or less on top each other. 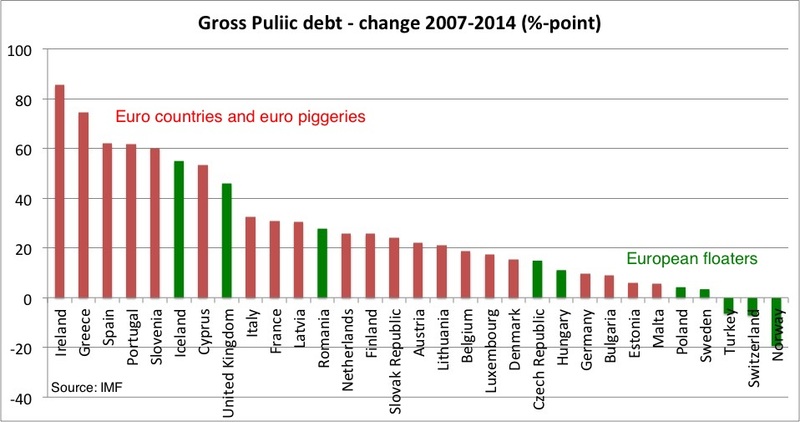 Portugal has seen a 1.4% drop in NGDP from the average to 2007 to the average of 2014 and gross public debt as share of GDP has increased by 61.7%-point in the same period. 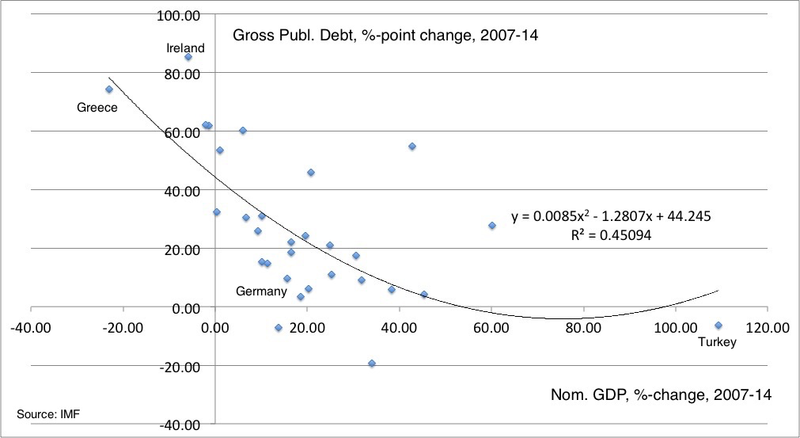 This means that the Portugues debt development has been slightly worse than one should have expected given the development in nominal GDP (the actual observation is to the right of the regression line. That said I would be careful in drawing too strong conclusion regarding individual countries based on this graph alone. Portugal is somewhat different than the other PIIGS in the sense that Portugal (and Italy) also prior to 2008 had fairly weak NGDP growth compared to Spain, Ireland and Greece. 3) The asymmetry of the EZ is still there. Random | Tko je John Galt?